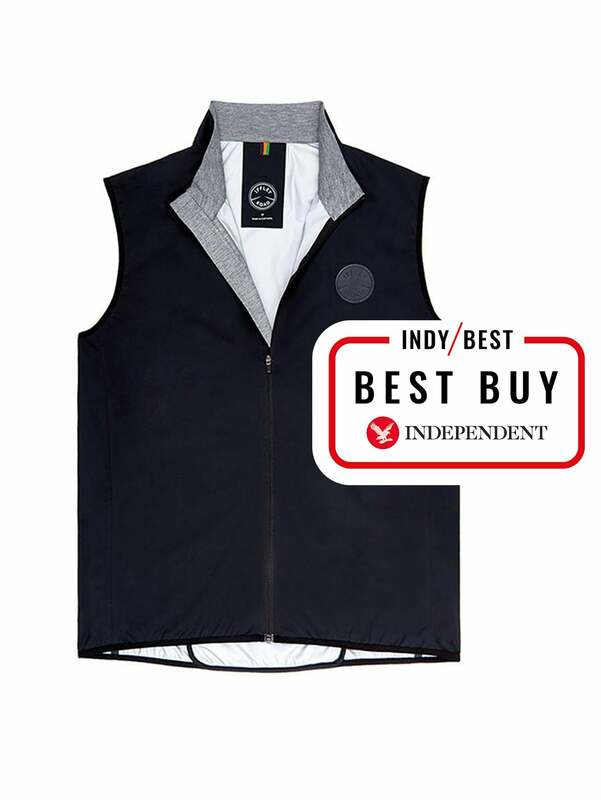 When the weather’s a little cold for a T-shirt, and too warm for a jacket, the gilet is the perfect accessory. What’s more, they’re even more compact and packable, lighter in weight and cheaper to buy, yet have nearly all the benefits of a jacket. The selection below offers the best from more insulated options, to mid-weight with panels of insulation, right through to truly minimal options weighing next to nothing. Constructed from lightweight triple-layer Italian softshell fabric, this is a highly waterproof, highly windproof and breathable gilet, and it’s lightweight too, coming in at 125g. 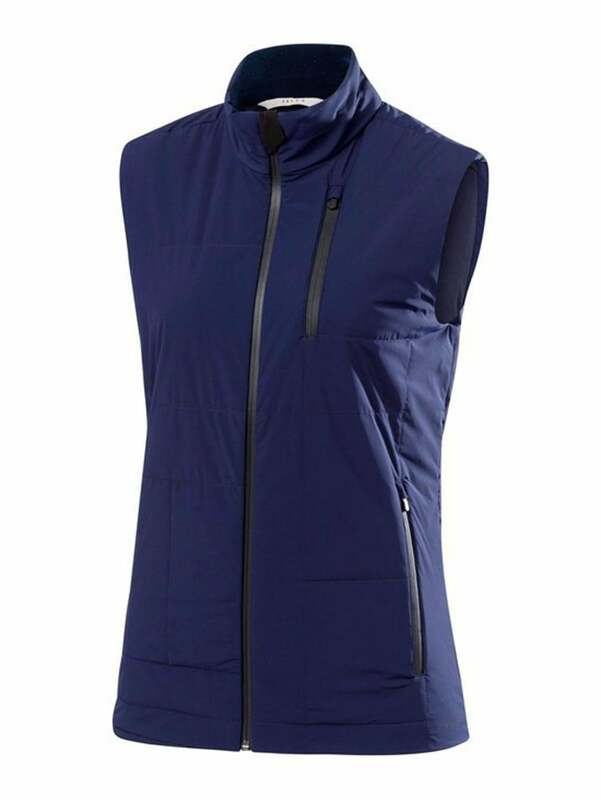 This British manufacturer turns out super premium runwear, and this gilet is no exception – it’s built to last which you can feel the moment you put it on – it’s machine washable, and looks great too. All its seams are taped (offering added waterproofness), it has one good sized pocket placed centrally to the rear, and finished with a soft on skin fabric round the neck and front zip; what’s not to love. 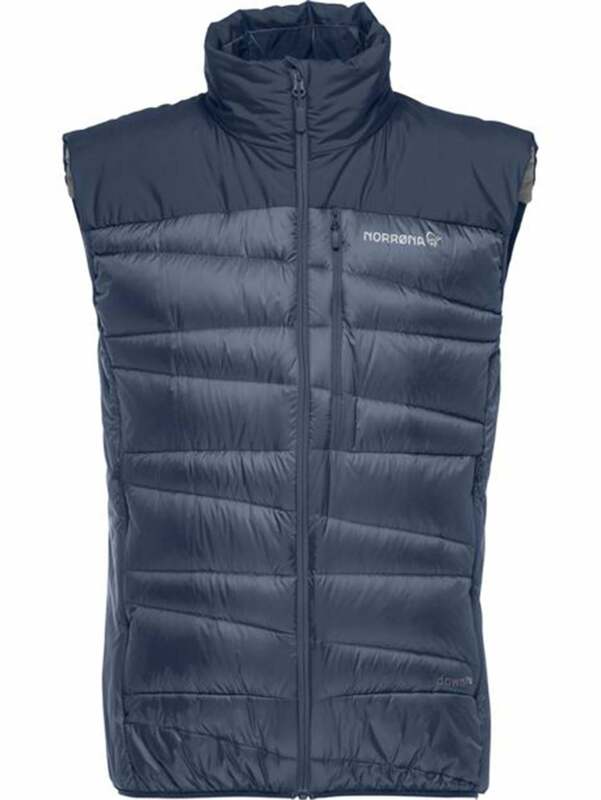 From one of the kings of outdoor gear, this brand new release is a very lightweight and packable gilet with a touch of insulation that provides a great balance of warmth. Despite this, it’s still highly breathable and works really well in a host active scenarios and all conditions. 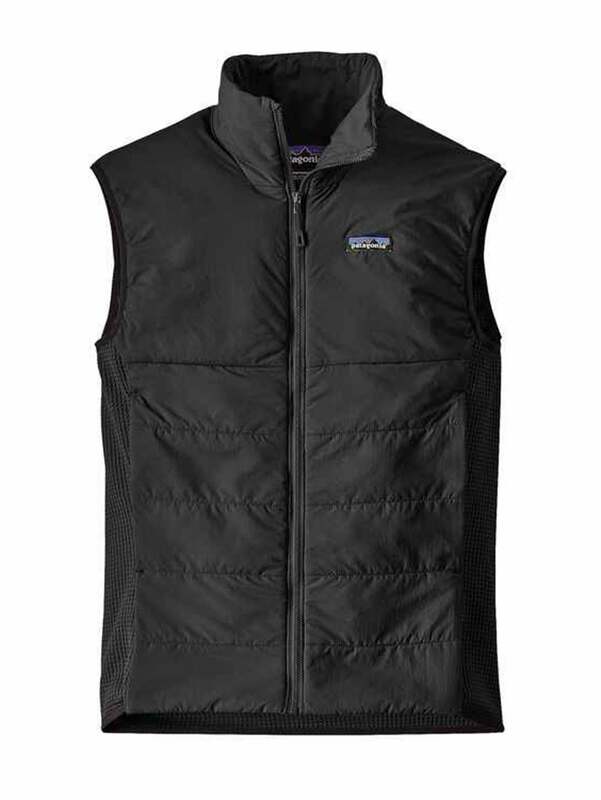 It is made from synthetic material so is quick drying, it’s wind and water resistant, and features nice stretchy fleece side panels that provide a really comfortable fit. Two zip front pockets, highly packable, and manufactured to a very high quality. The most premium from this shortlist, this is lightweight jacket made of windproof and water-repellent material, as well as having a thin insulated lining to keep you warm. A cosy fleece-lined collar keeps the neck area pleasantly warm. This makes it an attractive and eye-catching option, not only for sport but for leisure and everyday use as well. The highly elastic material at the back allows for optimal freedom of movement. The sporty look is underscored by two side zip pockets, a single breast pocket and a matte look. 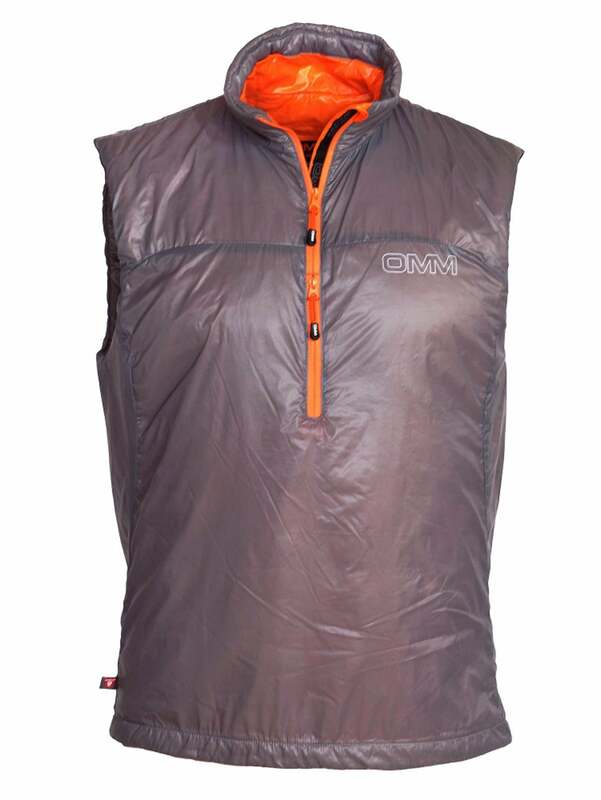 Falling into the shell category – this is a great option if you’re looking for a really lightweight (circa 90g), packable and minimal vest designed for higher exertion activity. The front and side panels act as a windshell and are made of a ripstop polyester with a DWR (water repellent) finish, complete with two zip pockets. The back panel is made from a super light (half see through) breathable and thin stretchy polyester, which will really help avoid overheating and a sweaty back, and what’s more it comes at a very affordable price. 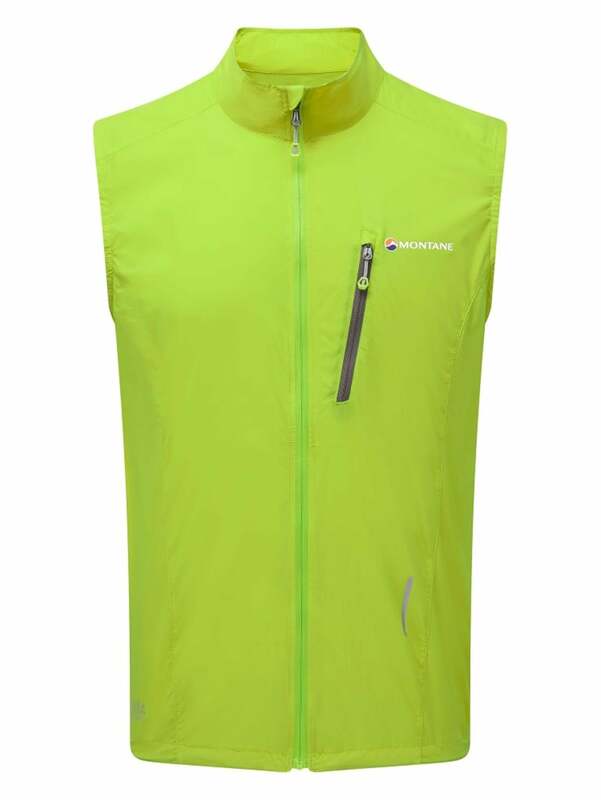 A piece that would be as happy for use in a social setting as out for a run, Patagonia have, as ever, turned out a great looking and super capable piece of kit. With a part-fleece part-shell feel to it, it’s a lightweight insulated nylon shell with a DWR (durable water repellent) finish. The side and back panels have a waffle type construction for their fast wicking and drying properties. It has the perfect amount of space through the arm holes – not too large to let tons of air not, not tight into your pits. Two large zip pockets to the front, and you’re good to go. 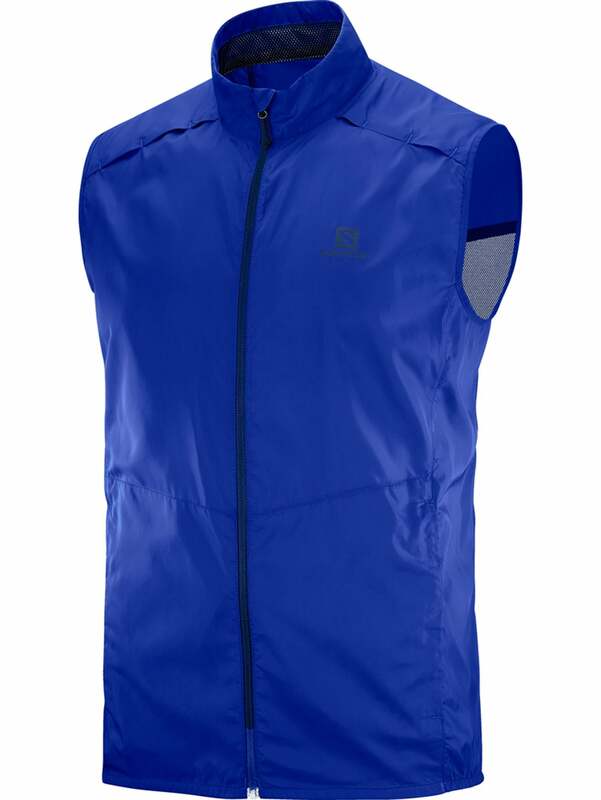 This Norwegian brand only turn out the best quality gear, and this windproof and insulated down vest will be ideal if you’re planning on running in colder climates or winter. Insulated with natural 750 weight down, it’s still surprisingly lightweight and packable, and the neck, side panels and bottom are made from a synthetic down (good with moisture), and the shoulders are reinforced for added durability. 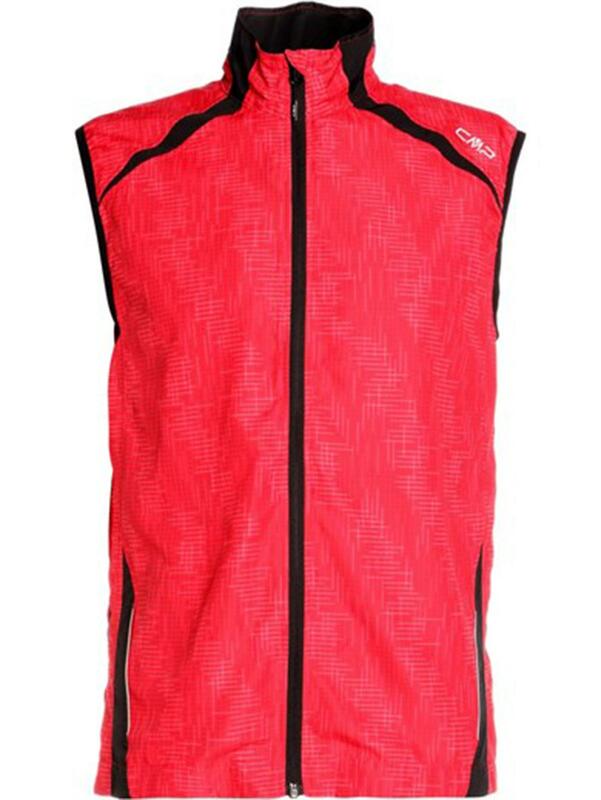 Packed with other features including hand warming pockets, chest pocket, soft chin protection, this won’t disappoint. 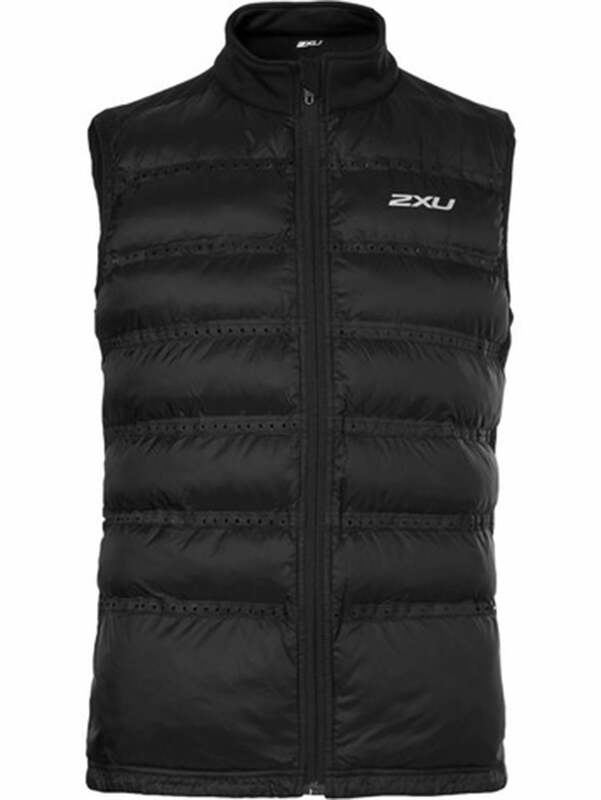 From one of the specialists in lightweight running gear, this insulated vest – featuring super high spec synthetic insulation – offers incredible warmth for its very light (135g) nature. Well suited to use in colder climes or seasons, this windproof jacket has half length double zippered front access, the chest pocket doubles as a stuff sack, and features a drawcord hem to keep the cold out. It’s well suited to be packed and for racing. If you’re racing and packing ultra light, at 75g, this super lightweight option still has the functionality you need – windproof, breathable and with a water repellent finish. With minimalism at its core, it has just one zip pocket, but it’s well positioned at chest height so whatever you carry in it shouldn’t bounce around too much and annoy you. It still maintains features such as a elasticated drawstring hem and roll over fleece chin guard. This lightweight and minimal polyester shell will keep the wind and showers out. The back panel is a light mesh to help keep you cool, and also features a large reflective strip to help keep you visible. It has just one simple zip pocket for a set of keys and phone, and this is a no nonsense very affordable shell that will do the job. 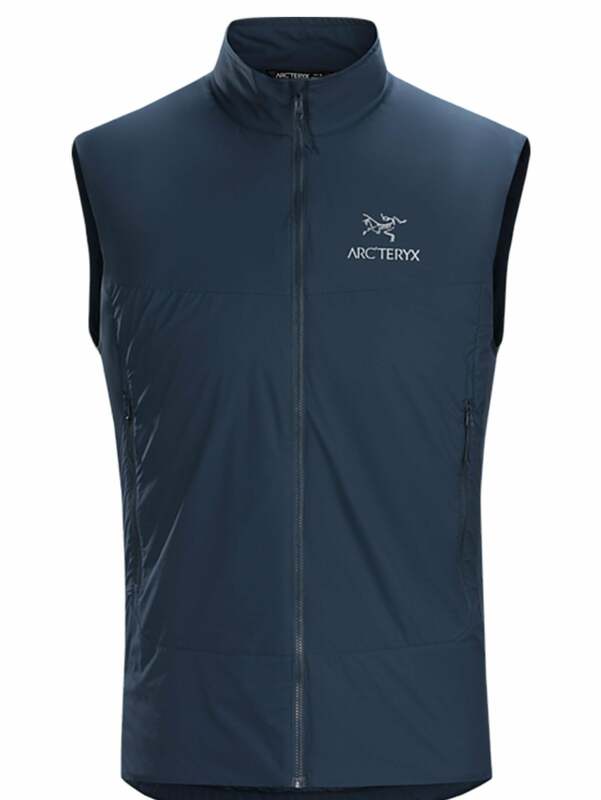 If you’re looking for a more insulated style of vest for use in slightly chiller conditions, the Arc’Teryx is highly technical and can operate well in all conditions, OMM is super lightweight, and Falke is amazing construction, fit and the most luxe option. If you’re looking for a ultra-minimal and lightweight option for stowing away “just in case” or for racing, the Montane and Salomon are ideal, as well as being great value for money. The best allrounder is Iffley Road – lightweight, superior construction and materials, and capable of keeping the rain and wind out all whilst being really breathable. What’s more, it looks great and fits like a glove.